Project Description This project was to restore and modernize one of Caltech's oldest buildings, the Linde + Robinson Laboratory for Global Environmental Science. 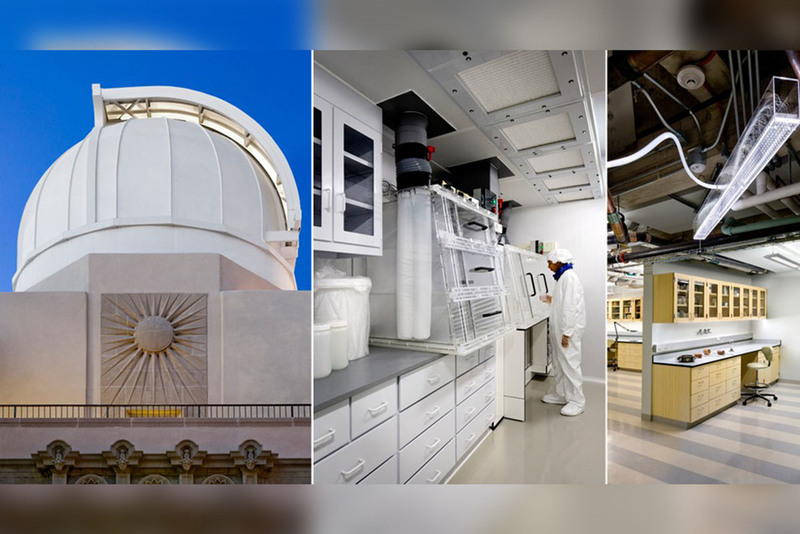 This Astronomy laboratory, built in 1932, has undergone extensive renovations over the past two years. It is also the nation’s first laboratory which was constructed in an existing historic building to earn LEED Platinum certification. BIM coordination was critical, since there was limited room for duct work. 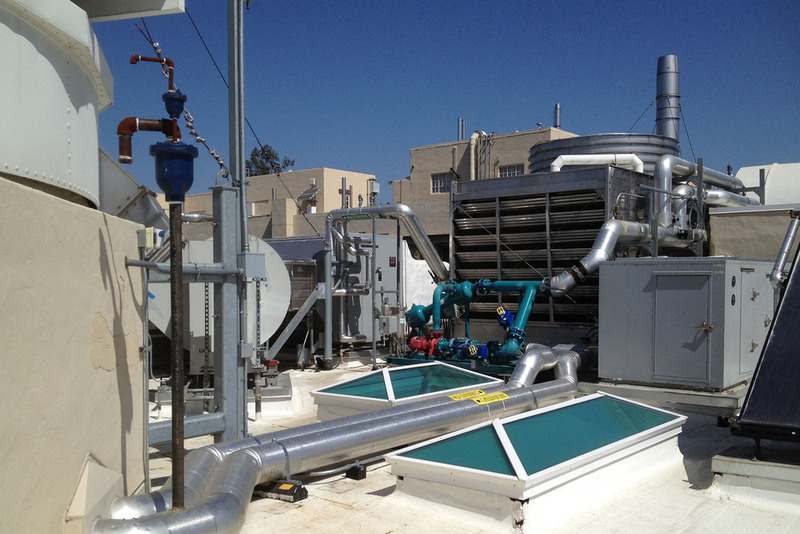 The system was designed with a cooling tower and a rooftop chiller. The cooled water is pumped into the basement and stored in a thermal water storage tank. A pump moves the water through radiant ceiling panels in occupied spaces throughout the building. This system is silent as well as energy-efficient. Energy-efficient mechanical equipment was selected and resulted in a sixty percent savings over typical equipment. Additional sustainable elements included solar thermal heating of domestic and industrial water, an energy consumption monitoring system, and the use of harvested rain water for irrigation and toilet flushing.